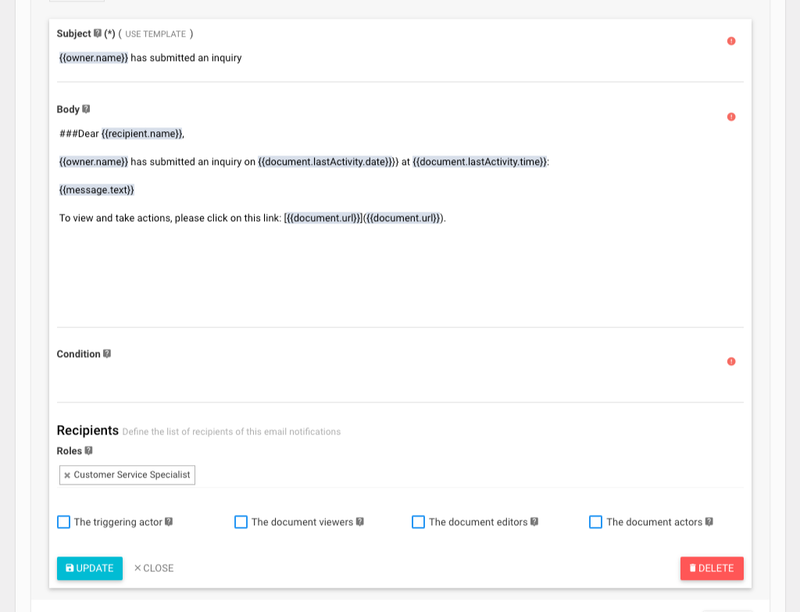 Triggers allow the workflow designer to send out email notifications or putting a new entry in the audit trail when a document transitioning from one state to another. 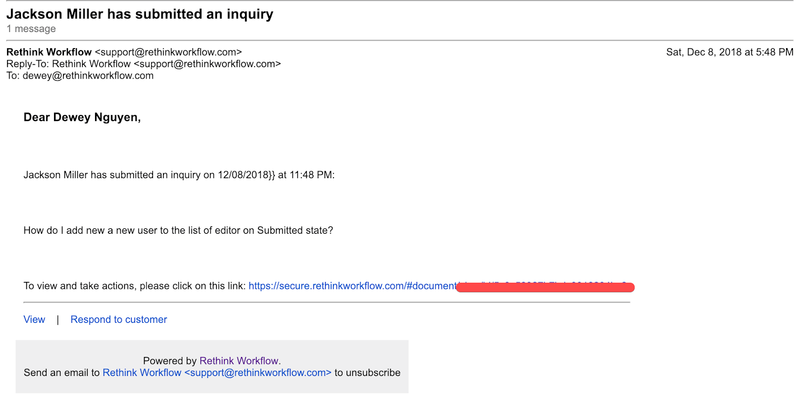 To edit an audit trail entry, click on the "EDIT" button on the right. 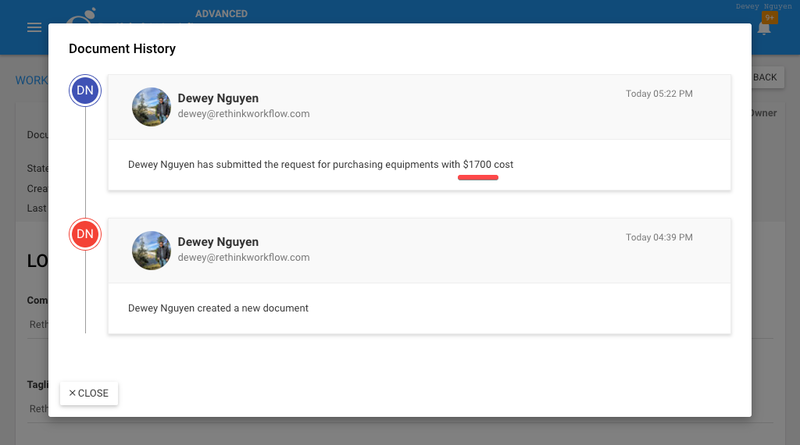 While editing the audit trail, you can also use placeholders in "Title" or "Description". Similar to Audit Trail, you can send email notifications to one or more people using Email Notifications triggers. To manage list of email notifications triggers, click on the tab "EMAIL NOTIFICATIONS". To add a new email trigger, click on button NEW on the corresponding action panel, then enter the required values. Of course, you can also use placeholders in the subject, body, and condition. You can use condition to decide whether to run a trigger or not based on values on the form. When the condition is evaluated as true, the system will proceed to run the trigger. You can learn more about the syntax of condition in visibility condition guide.